vessel | XKV8R: The Official Blog of Robert R. Cargill, Ph.D.
“It is odd that such a family of that name lived in that building but we made nothing of it other than it was interesting–it is not in the film.” (Emphasis mine). Jim’s post was interesting to me because it answered a question I had asked during my live blog of the American version of the The Resurrection Tomb Mystery documentary, namely, why are there so many references to Joseph of Arimathea when not a single shred of evidence was put forth in support of that claim during the documentary? Jim’s post revealed what I had suspected during the live blog (see the summary): there had been a segment dedicated to attempting to tie Joseph of Arimathea to the tomb, but it was apparently edited out/deleted from the American version of the documentary. However, the Canadian version of the documentary retained the segment (in contradiction of Dr. Tabor’s comments on Jim West’s blog). I updated my live blog with the text below, but have elevated that update to this full post. An image of the mailboxes and doorbells of the apartment that sits above the so-called “Patio Tomb” in East Talpiot, Jerusalem. Note the different shade of green, typeset/font of the inscribed letters on mailbox 4 in comparison to the other signs. Note also the color of the slightly greener sign next to the doorbells. 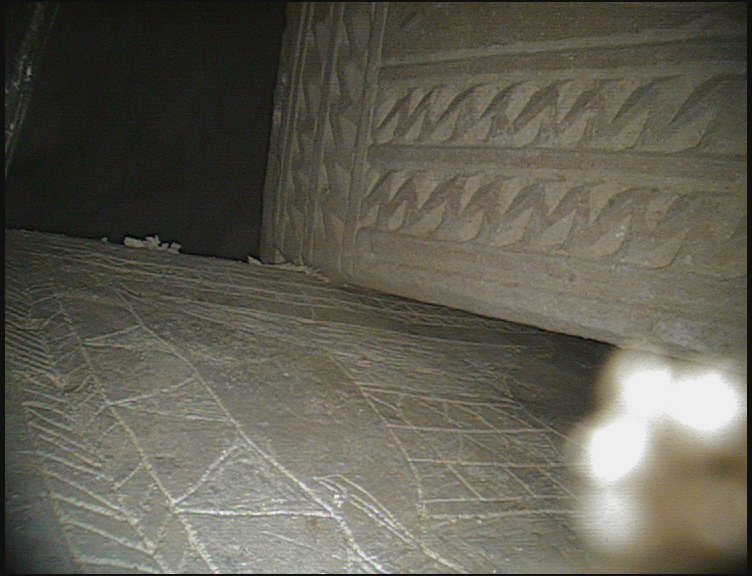 A screen capture of an animation offering a closeup of the “Harmatai” or “Arimathea” name from the Canadian version of “The Jesus Discovery” documentary of the doorbell of the apartment that sits atop the so-called “Patio-Tomb” in East Talpiot, Jerusalem. when is a nun not a nun? My friend and colleague Dr. Mark Goodacre made a keen observation last evening that is worthy of repeating. 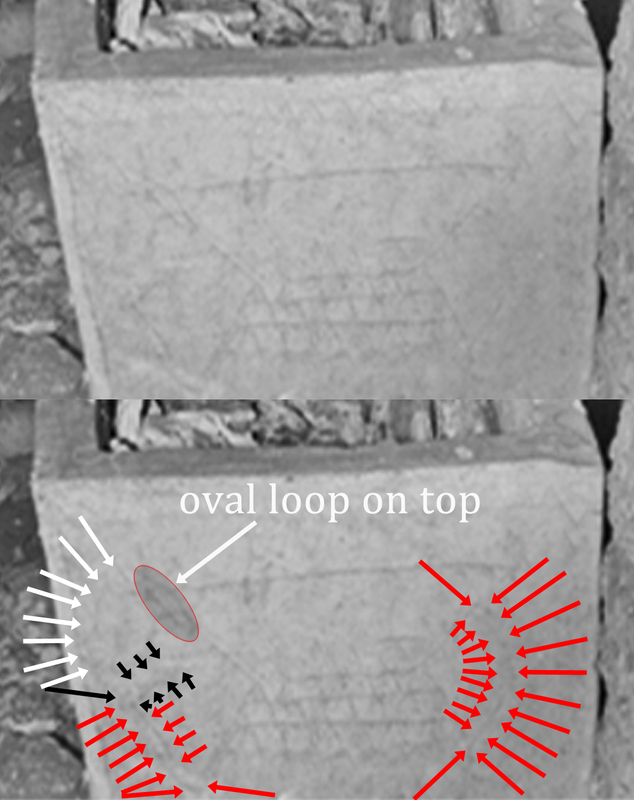 It relates to recent claims made by Dr. James Tabor that Dr. James Charlesworth has found the letters of the name of Jonah in the image inscribed on the front of Ossuary 6 from the so-called “Patio Tomb” from Talpiot, Jerusalem. The specific issue has to do with the fact that Dr. Tabor wants to interpret a pair of lines on the image as a single line, so that he can interpret them as the Hebrew letter nun, and thereby produce a necessary element of the name of Jonah. The problem (as Dr. Goodacre has pointed out) is that the supposed letter nun is drawn as two separate lines in their own reproduced images! 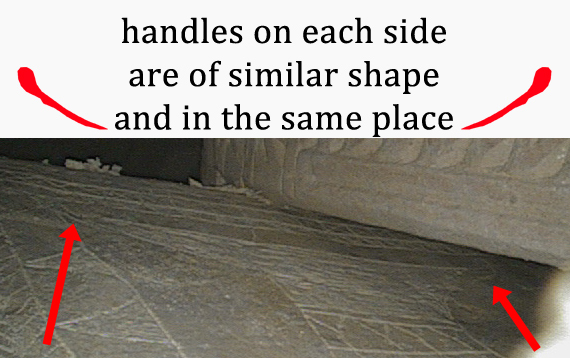 Indeed, one can test for the clarity of the lines here by returning to the CGI composite image of what is depicted on ossuary 6. This image aims to represent what the authors of the project used to regard as clear and self-evident and yet it is quite clear that before this new “Jonah” reading had been proposed, they too saw a break in the line that is now held to be a nun. In other words, before the “Jonah” inscription interpretation, they too could not see the continuous line of a letter “nun”. That is, Jacobovici and Tabor’s own Photoshopped composite CGI image clearly treats the lines of the desired nun as two separate lines! I’ve dealt with this before, but see below how Dr. Goodacre has refuted Dr. Tabor’s claim with Dr. Tabor’s own published rendering of the image! 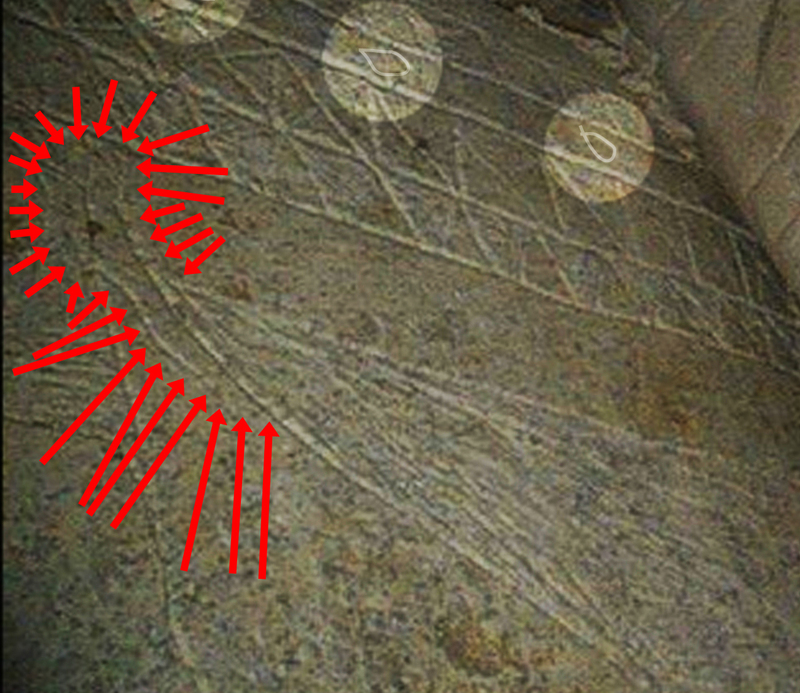 Lines from the CGI composite image from Ossuary 6 are depicted as TWO lines, not ONE. 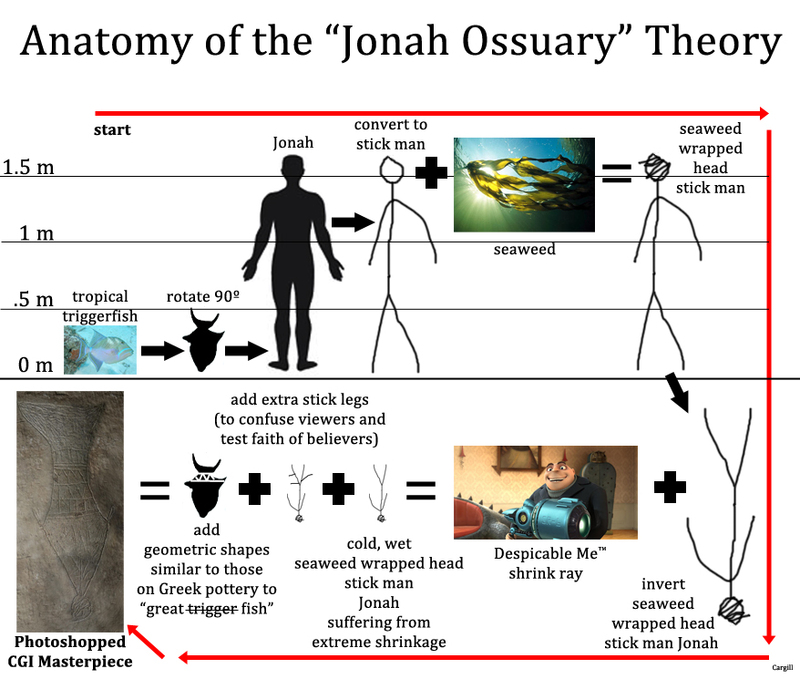 Once Mr. Jacobovici and Dr. Tabor found something they felt would make a better argument, they jettisoned the ‘stick man Jonah’ argument (or at least rearranged / eliminated his arms and legs), and are now resorting to redrawing (or at least reinterpreting) the image in a more favorable light and angle in order to produce an ‘inscription’ that doesn’t exist. As I stated in my live CNN interview with Carol Costello, Mr. Jacobovici and Dr. Tabor (and reportedly Dr. Charlesworth) have resorted to “Rorschach Test archeology” to salvage something – anything – that relates to Jonah. So, my friend and colleague, Dr. James Tabor, has recently announced that Dr. James Charlesworth has discovered the name of Jonah at the bottom of an image inscribed on the face of an ossuary that was re-discovered in the so-called “Patio Tomb” in Talpiot, Jerusalem. First of all, I am quite curious to know what has caused the blurred out areas on each side of this ‘untouched’ image. The blurred out and shadowed area to the right may be caused by Ossuary 5. However, I know of no known obstructions on the left of the image, unless the blurred area is caused by a part of the camera itself. Second, notice how FLAT “Jonah’s seaweed-wrapped head” suddenly appears in HiDef. From this straight-on angle it appears to be a nearly symmetrical attempt at representing a half-spherical (or hemispherical, or echinus – HT: compsciphi ;-) base of a vessel. Note the difference in shape between the CGI composite representation above and the “Untouched Photo from HiDef Camera” immediately above. 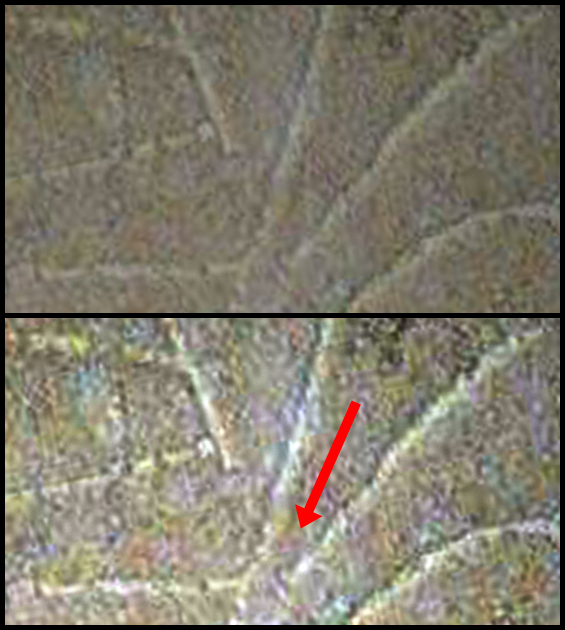 Note how distorted the base of the vessel is in the CGI composite, while the actual image is nearly symmetrical, as Steve Caruso has pointed out here and here. Again, Dr. Tabor’s own new images refute his previous claims. 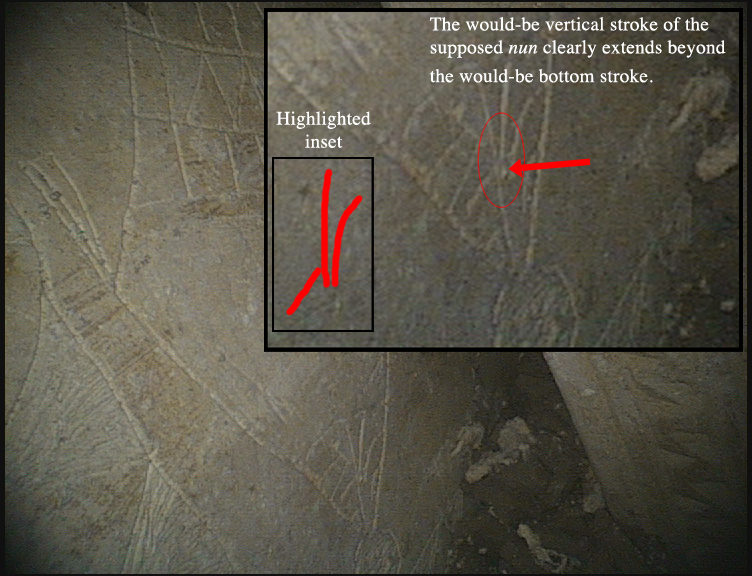 Finally, while this one photo that Dr. Tabor has produced above appears to show lighting and an angle favorable to Dr. Tabor’s argument, other images on their own thejesusdiscovery.org website clearly show that from multiple different angles with different lighting, the lines that form the supposed nun are, in fact, two separate strokes. Additionally, the would-be vertical stroke of the supposed nun clearly extends well beneath the angled, would-be bottom stroke of the supposed nun, clearly indicating that the nun is little more than wishful thinking. 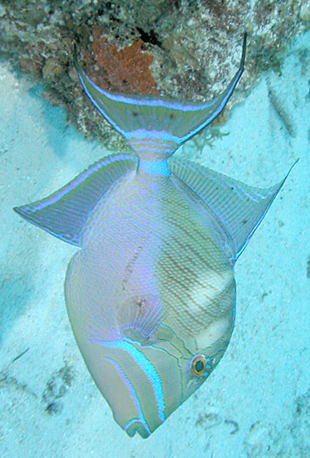 An over-under comparison of the original image (above, available here: http://thejesusdiscovery.org/press-kit-photos/?wppa-album=3&wppa-photo=15&wppa-occur=1) and the same image with the contrast and levels increased for clarity. The red arrow points to a space between the lines that make up the supposed 'nun'. Thus, this is not likely a 'nun'. Then again, if Antonio Lombatti’s recent post listing various scholars and their readings of the supposed inscription is any hint, it appears that, yet again, the scholarly consensus (of at least those not working with Simcha on this or another of his film projects) is leaning away from reading “Jonah” the base of the vessel. And just as I’ve written before, the “Seaweed Wrapped Head” of “Jonah” is actually an attempt at a half-spherical base of a Greek vessel etched into the side of the ossuary. Nothing more. The “seaweed” is nothing more than an etched version of “coloring in” the base, just like the artist “etched in” the top of the vessel (Simcha and Dr. Tabor’s “fish tail”) and many areas of the geometric border surrounding the vessel. Note that the lines are drawn as you’d expect one to draw them were they attempting to represent a half-spherical base. Finally, the lines that comprise the extra “legs and arms of stick man Jonah” are nothing more than attempts at reproducing the ring of lines that quite commonly appear just above the bases in vessels, as the video clearly shows. Unless you are going to put forward Rorschach tests as archaeological evidence, there is nothing else there.